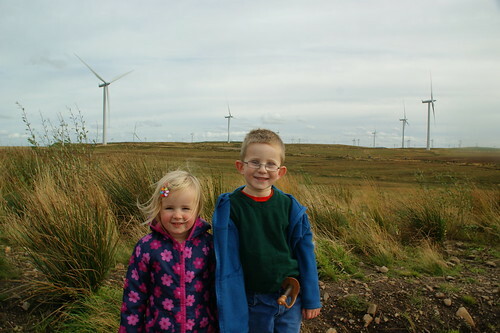 Mummy took us and Bopster to the windfarm yesterday. We like to go there sometimes to walk because it is pretty. I forgot to take my money with me to buy a windmill of my own in the shop so I want to go back again very soon.